Many gaming industry companies choose NEWave for its specialty in IT contracts, and the company was recently picked by a central California tribal casino to help ensure compliance, increase efficiency and enhance the customer gaming experience. In the competitive review process, NEWave's modules of myCompliance Manager software suite proved effective in a field test. The software suite includes Title 31 Manager, Tax Form Validator and Compliance Trainer. The casino also chose optional modules including TINCheck, OFAC Watch List and eFile IRS. "This was a serious and extensive review process," NEWave CEO and CTO Bart Lewin said. "The client was very specific expressing their need to find the best software available that would help them guarantee compliance, avoid fines and automate their processes, coupled with support beyond the sale. NEWave's unique combination of outstanding software and unparalleled support are the reasons we won this bid process." NEWave software is in place at more than 230 tribal casino clients in California and North America. 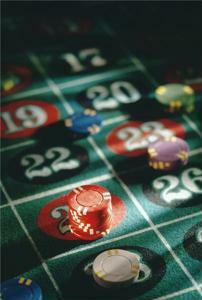 Its software is especially effective in auditing functions, regulatory compliance and casino cage operations.